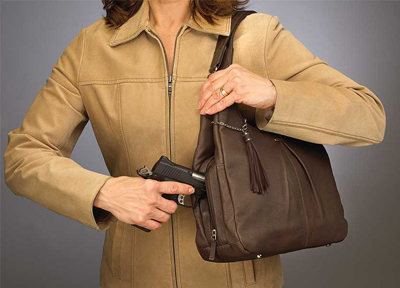 When we hear the phrase “conceal and carry”, we probably think about someone who is practicing their constitutional right to bear arms. However, there is another way we can understand those words. It has to do with the way that people fail to deal with their sins. When David tried to conceal his sin, he carried its heavy burden with him and felt the pain and misery that goes along with unforgiven sin. Only when he confessed his sin to the Lord was his burden lifted. Then he experienced the joy of being right with God once again. Are you concealing and carrying your sin? Why not allow the Lord to take that burden from you today? This entry was posted in Christian Living, Communion Meditations, Prayer and tagged conceal and carry, confessing our sins, forgivness, illustration, right to bear arms, right with God, sin. Bookmark the permalink.